Factorization algebras are local-to-global objects that play a role in classical and quantum field theory which is similar to the role of sheaves in geometry: they conveniently organize complicated information. Their local structure encompasses examples like associative and vertex algebras; in these examples, their global structure encompasses Hochschild homology and conformal blocks. 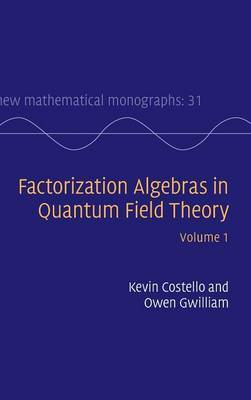 In this first volume, the authors develop the theory of factorization algebras in depth, but with a focus upon examples exhibiting their use in field theory, such as the recovery of a vertex algebra from a chiral conformal field theory and a quantum group from Abelian Chern-Simons theory. Expositions of the relevant background in homological algebra, sheaves and functional analysis are also included, thus making this book ideal for researchers and graduates working at the interface between mathematics and physics.